Monica Beltrametti is currently Head of Global Innovation Europe for Naver Corp. She assumed this position at the start of 2018 after leading the process of selling the Xerox Research Centre Europe to Naver. At Xerox she was Xerox Chief Services Officer. She directed Xerox research related to services and how research is commercialised. Beltrametti was also vice president of the Xerox Innovation Group and director of the Xerox Research Centre Europe. Beltrametti specialises in integrating technology, market and business opportunities from fundamental R&D to commercial scale-up, while working closely with Fortune 500 customers. She has supported and created several new ventures that were later acquired by multi-national companies. Beltrametti has also held several executive business development and engineering positions at Xerox. 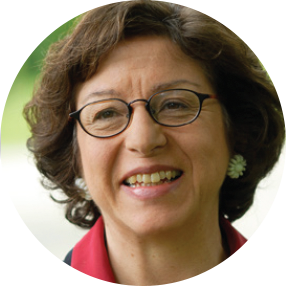 She is member of the SOITEC board of directors and of several European Union initiatives.